The Department of Obstetrics and Gynaecology, London Health Sciences Centre and Western University, London Ontario, Canada, is seeking a full time clinical academic position in Gynaecologic Oncology. The successful candidate will hold a full-time Limited Term Clinical Academic appointment at the rank of Assistant Professor or Associate Professor, or a Continuing Clinical Academic appointment at the rank of Associate Professor or Professor, depending upon experience and qualifications at the time of appointment. Candidates must hold an MD or equivalent and be eligible for licensing in the Province of Ontario. Specialist certification in Obstetrics and Gynaecology through the Royal College of Physicians and Surgeons of Canada or equivalent is required, and a formal fellowship in Gynaecologic Oncology. The successful candidate will have a commitment to and demonstrated aptitude for teaching and will be expected to teach at the undergraduate and graduate levels and to supervise graduate trainees. The successful candidate will also have a demonstrated record of research and publication. · At least 35% time commitment to education, research and/or administrative activities in the Department, Hospital and/or the University. Western University delivers an academic experience second to none. Western challenges the best and brightest faculty, staff and students to commit to the highest global standards. Our research excellence expands knowledge and drives discovery with real-world application. Western attracts individuals with a broad worldview, seeking to study, influence and lead in the international community. Since 1878, The Western Experience has combined academic excellence with life-long opportunities for intellectual, social and cultural growth in order to better serve our communities. 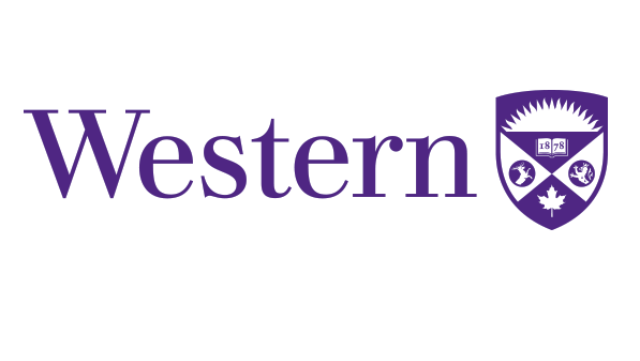 Western University is a research-intensive institution with a wide range of academic and professional programs (see http://www.uwo.ca/ to learn more). Western's Recruitment and Retention Office is available to assist in the transition of successful applicants and their families. London Health Sciences Centre (LHSC), one of Canada’s largest acute-care teaching hospitals, is dedicated to excellence in patient care, teaching and research. For more than 138 years, LHSC has provided patient care for the people of London, the region, and beyond. Many national and international medical breakthroughs have been pioneered at LHSC, to the benefit of patients at home and around the world. The Department of Obstetrics and Gynaecology has 34 full-time academic physicians, and 6 basic scientists and opportunities exist for clinical and basic science research. Successful candidates will have a keen interest in academic medicine and the ability to collaborate effectively with all other members of the health care team and office staff, and a commitment to active participation in team-based health care and teaching, both at the undergraduate and postgraduate levels. Compensation for this position will be commensurate with qualifications and experience and will be composed of an alternative funding plan and academic salary. This position is funded through the provincial Alternate Payment Plan in Gynaecologic Oncology. The anticipated start date for this position is to be negotiated. Interested candidates should submit a letter of interest, including curriculum vitae and names of three references, and also complete, sign and include the form at the following link (http://www.uwo.ca/facultyrelations/careers/pdf/application-full-time-clinical.pdf) to: Artie Harricharran, Administrative Assistant, Department of Obstetrics & Gynaecology, 800 Commissioners Road East, Room B2-401, London, Ontario, N6A 5W9 at artie.harricharran@lhsc.on.ca. For further information about the position, please contact Lisa Johnson, Manager of Administration & Finance at 519-646-6144, or via email at lisa.johnson@lhsc.on.ca. Applications will be accepted until the position is filled. Review of applications will begin after August 31, 2018. Accommodations are available for applicants with disabilities throughout the recruitment process. If you require accommodations for interviews or other meetings, please contact Lisa Johnson at lisa.johnson@lhsc.on.ca or 519-646-6144.